This Swiss timepiece from Maurice Lacroix takes on a modern design. 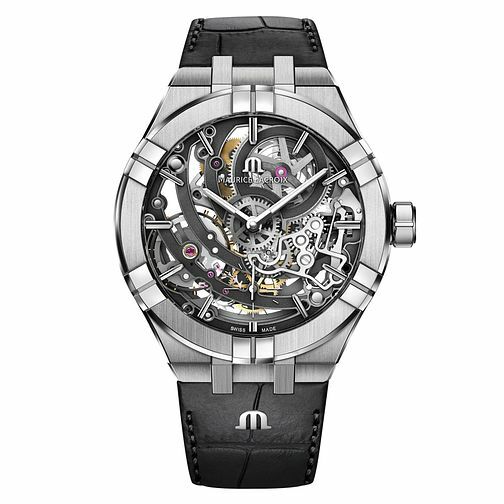 With a stainless steel case and skeletonised dial, this is a futuristic watch. Finished with a black leather strap embellished with a stainless steel 'M', this watch delivers sophistication with power.